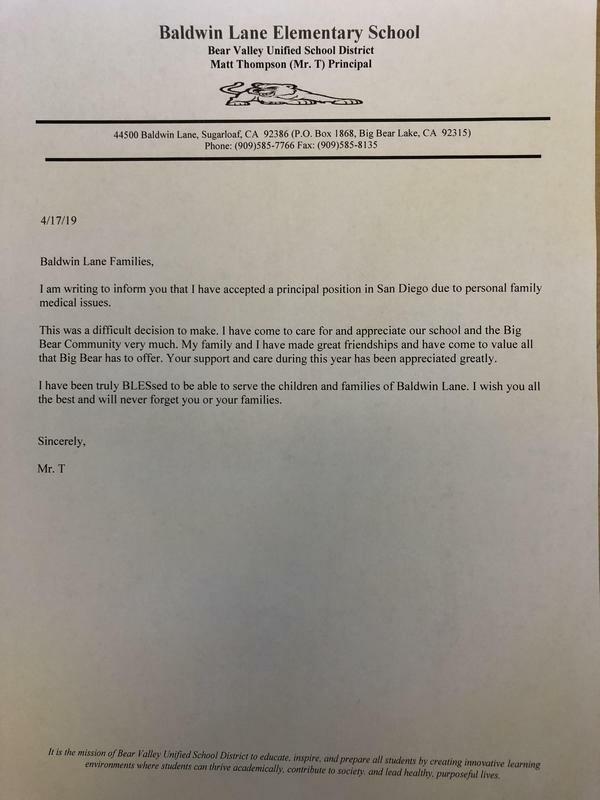 Please see the picture or the attached letter with an important letter from Mr. T about his position at our school. 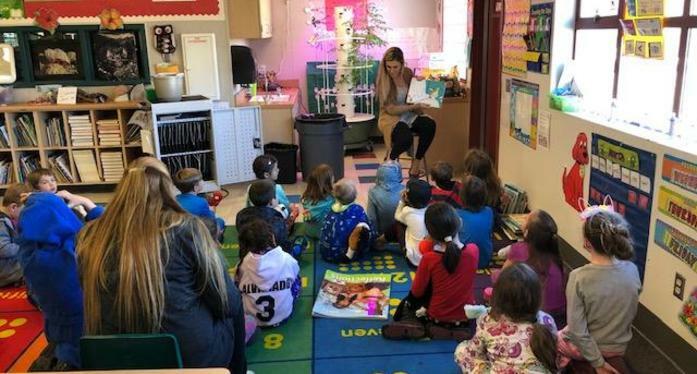 Thank you to all volunteers who read to our students. Big Bear Hot Shots Donating 10 bicycles and helmets to our students. Story Time with Mr. T in our beautiful Library. Pumpkin Catapults with our 3rd graders. GATE with our local fire department to help with an experiment. Make it a Great Day, or Not. The Choice is Always Yours! 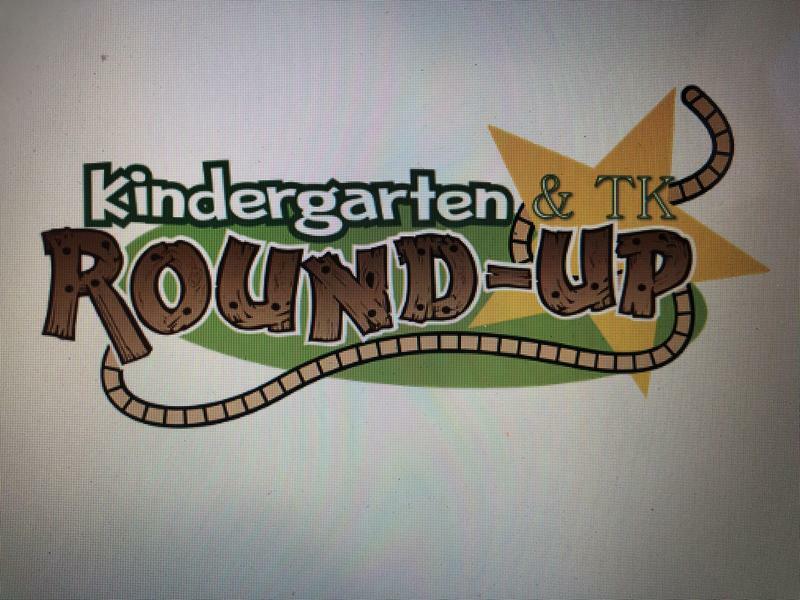 Get Ready for TK or Kindergarten! 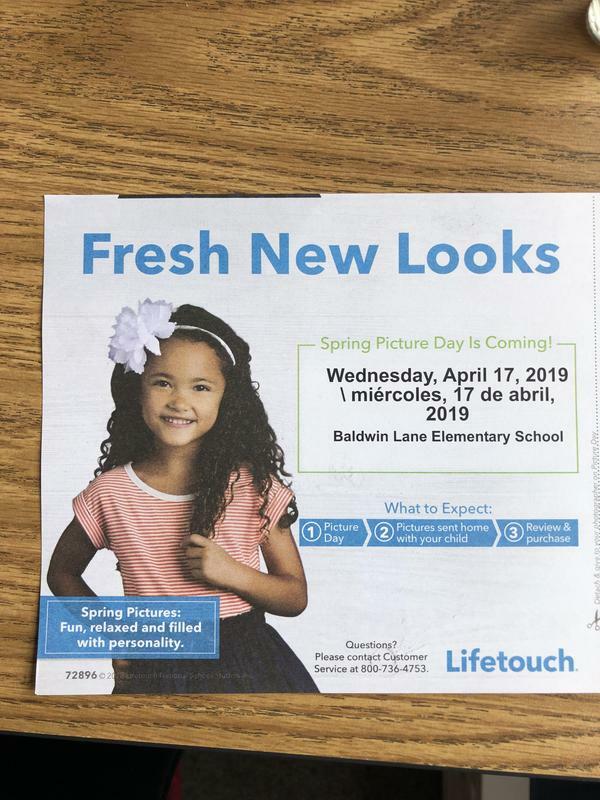 Baldwin Lane Elementary - Thursday, April 25th from 5:30-6:30 p.m.
North Shore Elementary - Thursday, April 18th from 6:00-7:00 p.m.
Big Bear Elementary - Thursday, May 2nd from 6:00-7:00 p.m.
Spring Picture Day is Wednesday, April 17, 2019. Pictures will be taken throughout the day at Baldwin Lane Elementary School. 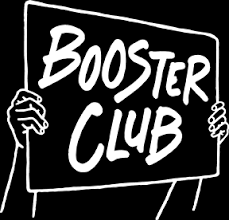 April 16th -30th! Each class has a jar to drop their pennies into. Each penny is worth 1 point. 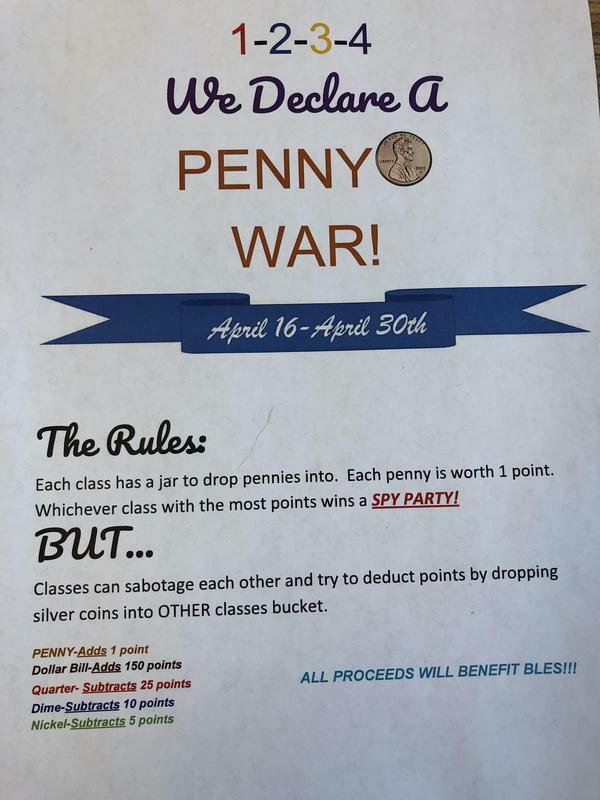 Whichever class with the most points wins a spy party! Classes can sabotage each other and try to deduct points by dropping in silver coins into other classes buckets. All proceeds will benefit BLES! Childcare will be provided. We hope to see you there.